Mariah Carey is an American pop singer-songwriter and record producer who became the best-selling female performer of the 1990s. Known for her remarkable five-octave vocal range, she started her early career singing R&B and pop music and eventually moved into hip-hop. The third-best-selling female artist in the United States according to the Recording Industry Association of America, Carey has sold more than 200 million records across the world. She has also been featured in 9 movies and 5 television shows throughout her career. Born in March 1970 in Hungtington, New York, music was Carey’s birthright. Her mother was a vocal coach and former opera singer. Carey learned to sing and started performing at a very young age. In 1987, Mariah Carey graduated from high school in Greenlawn, New York. She decided to relocate to New York to pursue a career in music. In 1988, she made a demo recording that impressed Columbia Records executive Tommy Mottola, who signed her immediately. Mariah’s eponymous debut album stayed at the top of the Billboard 200 for 11 consecutive weeks, selling 15 million worldwide. The album showcased her incredible vocal range and encompassed a blend of various genres such as gospel, pop, and R&B. The title track for her next release, Emotions, became Carey’s fifth consecutive chart-topping single. Other successful albums included Music Box (1993) and Daydream (1995), both of which sold more than 10 million copies in the United States. Her sleekly-produced music videos made her a popular act on MTV. 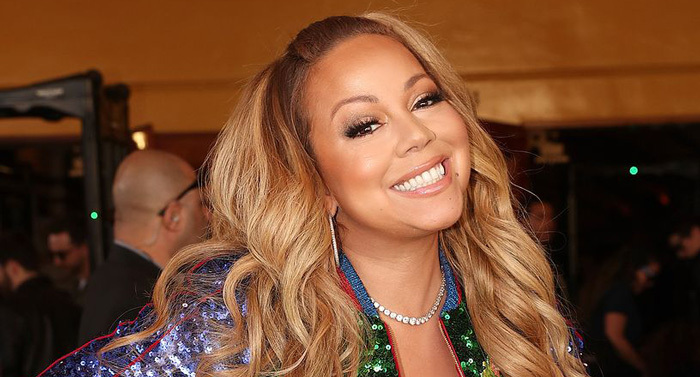 After announcing her separation from Mottola in 1997, Carey recorded Butterfly with much more creative freedom and garnered very favorable reviews. The album highlighted a change in her musical direction to rap and hip hop. Carey signed a $80 million deal with Virgin Records that made her the world’s highest paid recording artist. Within the next few years, she suffered a career downturn and her contract with Virgin was terminated in 2002. In 2005, Carey made a comeback with The Emancipation of Mimi, selling more than 6 million copies in the United States. The single “We Belong Together” was described as “Song of the Decade” by Billboard magazine. Mariah Carey has won numerous awards and accolades in her career. A few of them include 5 Grammy Awards, 18 World Music Awards, 10 American Music Awards, 32 Billboard Music Awards. Carey was ranked second on VH1’s 2012 list of the “100 Greatest Women in Music”. The personal life of Mariah Carey has been the subject of extensive media attention. Her troubled marriage with record executive Tommy Mottola ended in divorce in 1998. Carey married comedian Nick Cannon in 2008. In 2011, she gave birth to their twins, Monroe and Morocca. Cannon and Carey separated after six years of marriage in 2014.